Finally, it’s here! The day we were waiting for since past couple of years. Nokia is finally back into the smartphone business. Back in 2016, Nokia partnered with HMD Global to sell and advertise all the Nokia products that coming in 2017. 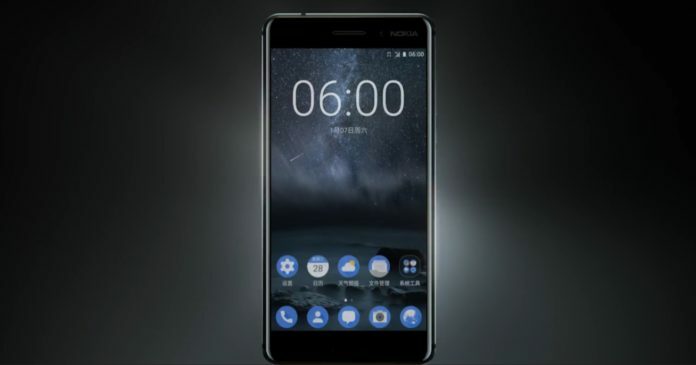 Today, the first Nokia smartphone has been launched, named as the Nokia 6. As for now, the phone has been launched exclusively in China, but surely it will make its way to the other markets. Nokia 6’s design is something that makes it more impressive. The company has said that the phone has been made by a solid block of 6000 series Aluminium. What it features and can it compete with companies like Xiaomi, LeEco, etc.? Well, let’s have a look at the specifications. ALSO READ: Nokia E1 Specs Leaked, To be Priced Under $150! The phone features an In-Cell 5.5-inch 1080p Screen over which there is Gorilla Glass three protection. Talking about the pixel density, it is 403ppi. Under the hood, Nokia 6 is powered by an octa-core Snapdragon 430 processor along with 4GB of RAM and 64GB internal storage. Also, in case you think 64GB isn’t enough for all your data, you also get external SD card slot through which the storage can be expanded up to 128GB. Talking about the cameras, on the rear, we have a 16MP camera with PDAF, 1.0-micrometer sensor, and f/2.0 aperture. Also, there is a dual-tone LED flash on the back. Coming to the front, there is an 8MP camera with a 1.12-micrometer sensor and the same f/2.0 aperture. The front camera features an 84-degree wide angle lens. The phone runs on Android 7.0 Nougat out of the box with a 3,000 mAh battery. Just a short while ago we announced the launch of HMD Global. From the outset we have stated that we intend to move with speed to establish a position as a player in the smartphone category and create products that truly meet consumer needs. The Nokia 6 is a result of listening to our consumers who desire a beautifully crafted handset with exceptional durability, entertainment and display features. After 10mins of search found out your post.